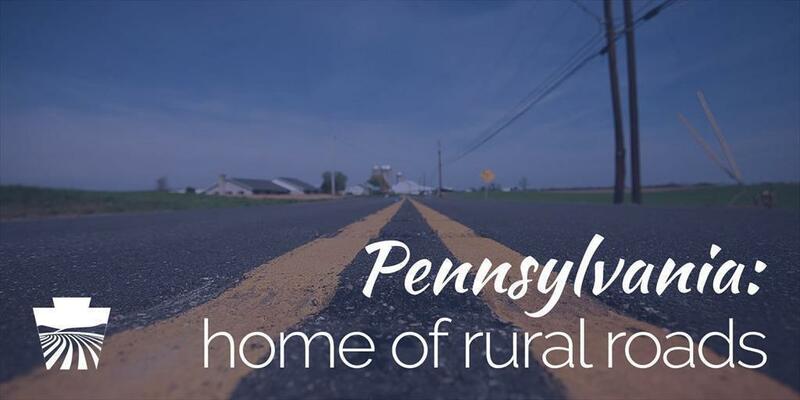 ​Pennsylvania has more rural roads than any other state. While they offer breathtaking scenery, the result can be a dangerous situation for farmers and drivers alike. On rural roads, it’s not unusual for cars and trucks to share the roadway with farm equipment or horse-drawn vehicles. Narrow roads and shoulders, loose gravel, sharp dips, and unexpected turns all contribute to accidents on rural roads. Don’t rush. If you’re driving on rural roads, chances are you’ll encounter farm equipment of some kind. Avoid rushing and allow plenty of time to reach your destination safely. Following a tractor for two miles at 20 mph will add just six minutes to your drive time, the equivalent of waiting for two stoplights. Pass with care. If the farmer has pulled off the road so that you may pass, or if the farmer doesn’t pull over but you feel you need to pass, do so with caution. Watch for other vehicles, and never pass when curves or hills block your view. Also, be careful that the farmer isn’t pulling to the right to make a wide left turn. Be patient. Farmers are on the road for a reason. They’re not just trying to slow you down. They have a job to do. They’re working to provide a safe food supply to surrounding communities. Remain visible. Don’t assume that farmers know you are driving near their vehicle. While they will check behind them whenever possible, they are also concentrating on keeping their equipment on the road and avoiding oncoming traffic. PA law requires you to place a Slow-Moving Vehicle (SMV) reflector on any machine that travels slower than 25 mph. Always point the triangle up, keep the SMV emblem clean to maximize reflectivity, and replace the emblem when it fades. Avoid the highway during rush hours and bad weather. Make sure that you have adequate lighting for traveling before sunrise or after sunset. Tractor edges should be marked with reflectors or reflective tape. Consider installing lighting on older machinery to increase visibility. When entering a roadway, turn on your lights and turn off the rear spotlight which can be mistaken for headlights. Consider installing mirrors on equipment so you can see motorists around you. The Pennsylvania Departments of Agriculture and Transportation, and the Pennsylvania Farm Bureau​ work together to save lives on rural roads. If you’re a driver, remember to be cautious and patient while farmers are doing their job. If you’re a farmer, watch out for other drivers and make it easy for them to see you, too.